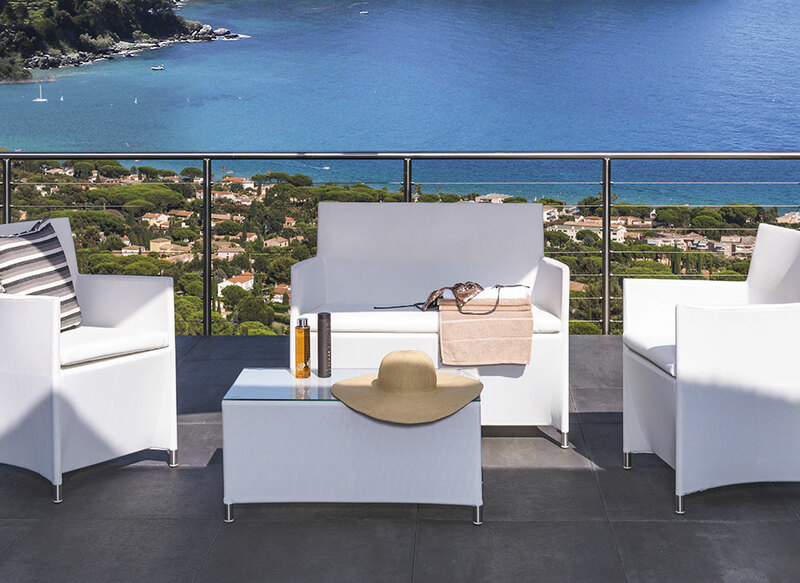 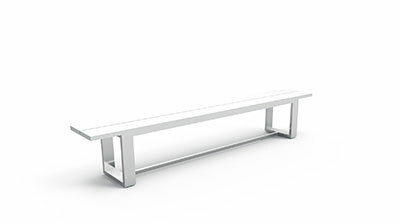 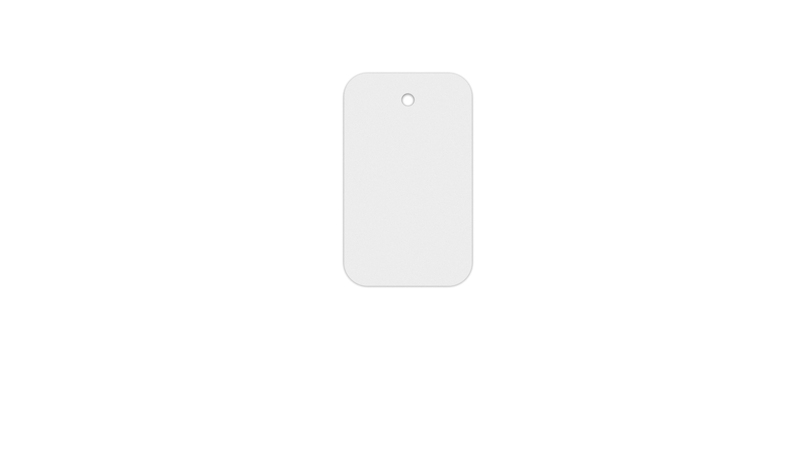 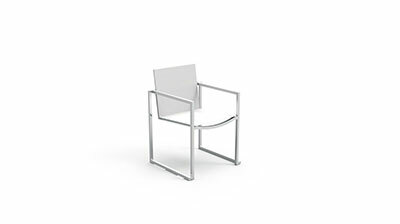 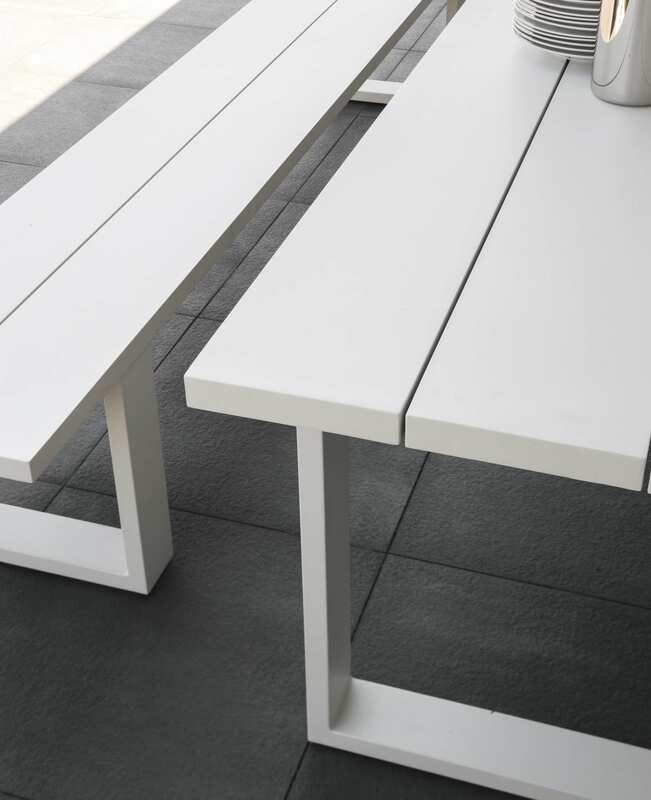 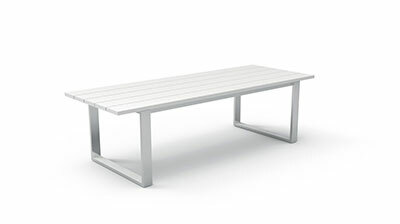 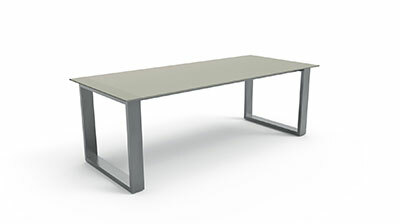 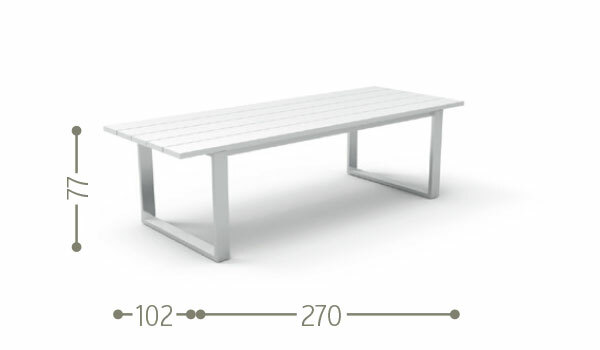 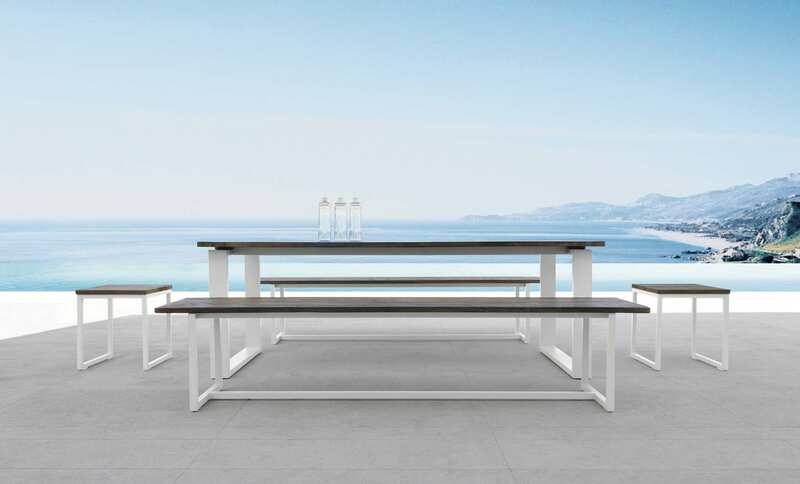 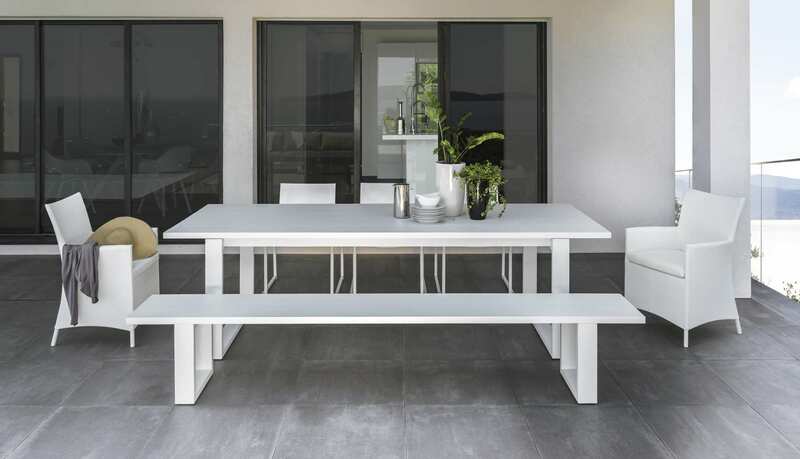 The Alu Essence table, completely made of white aluminium, is simple and elegant. 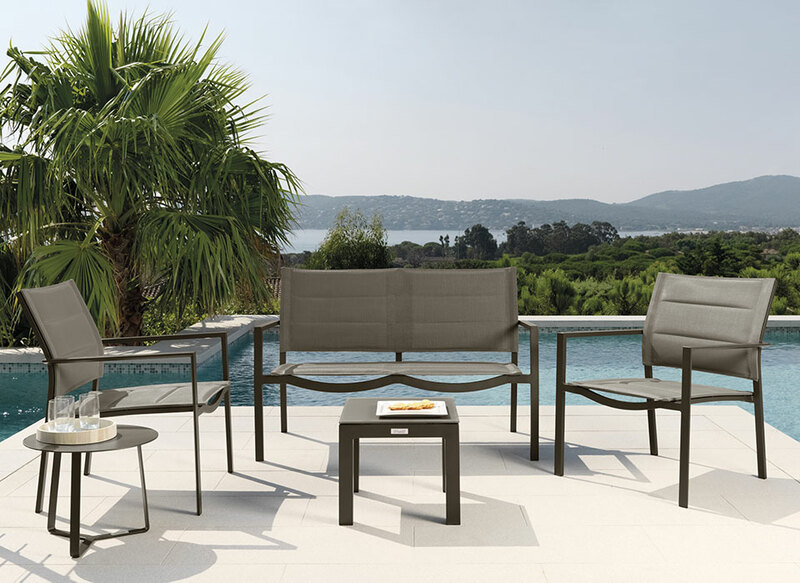 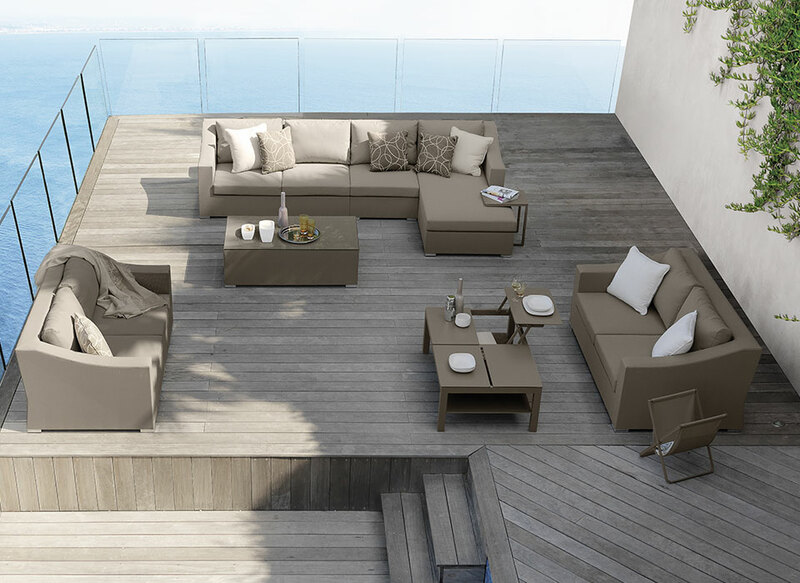 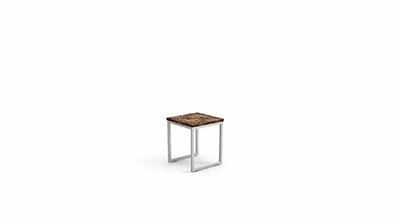 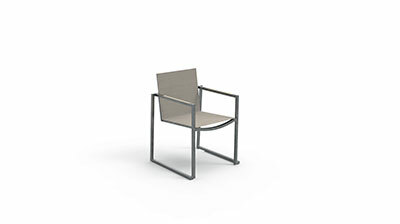 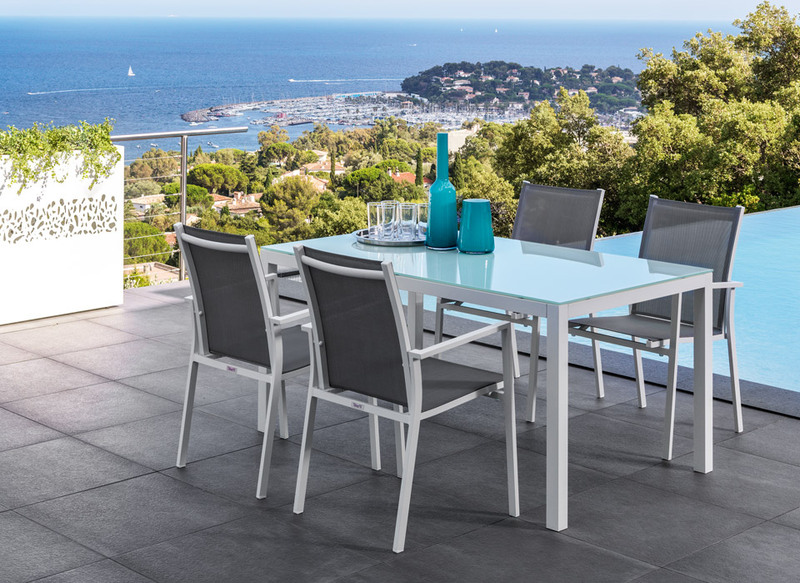 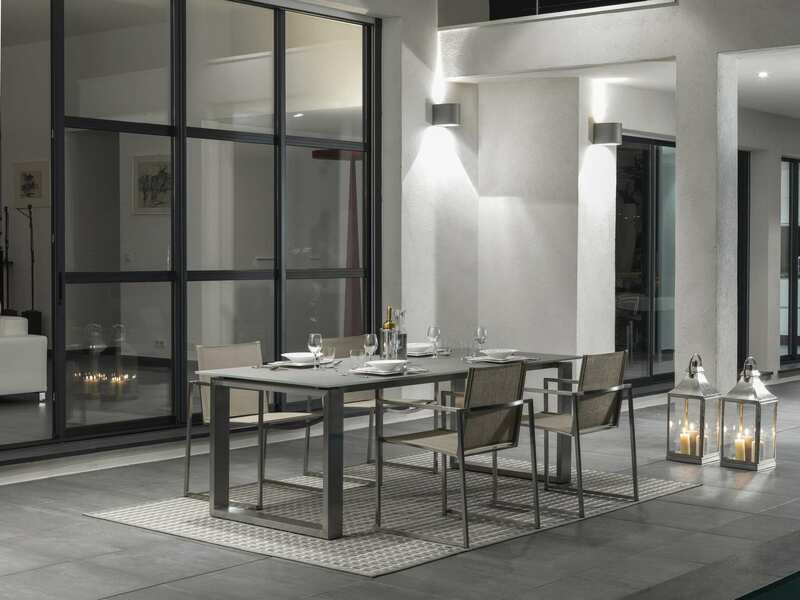 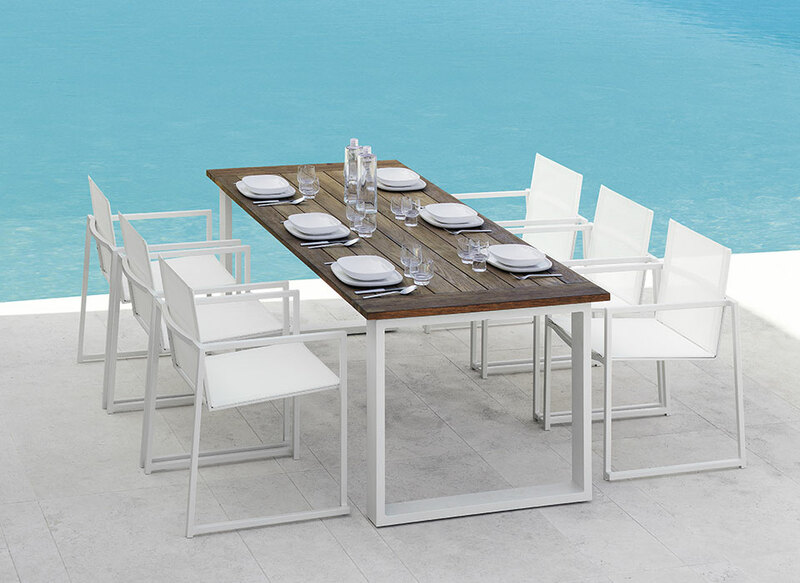 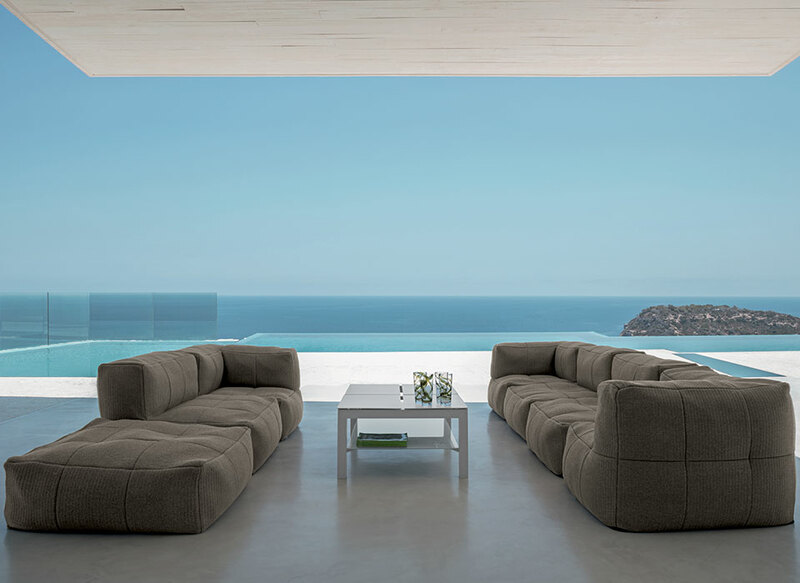 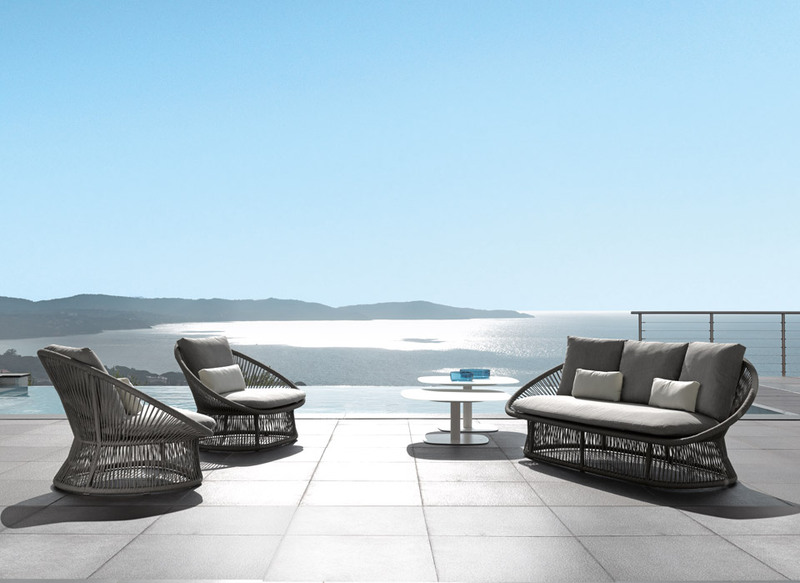 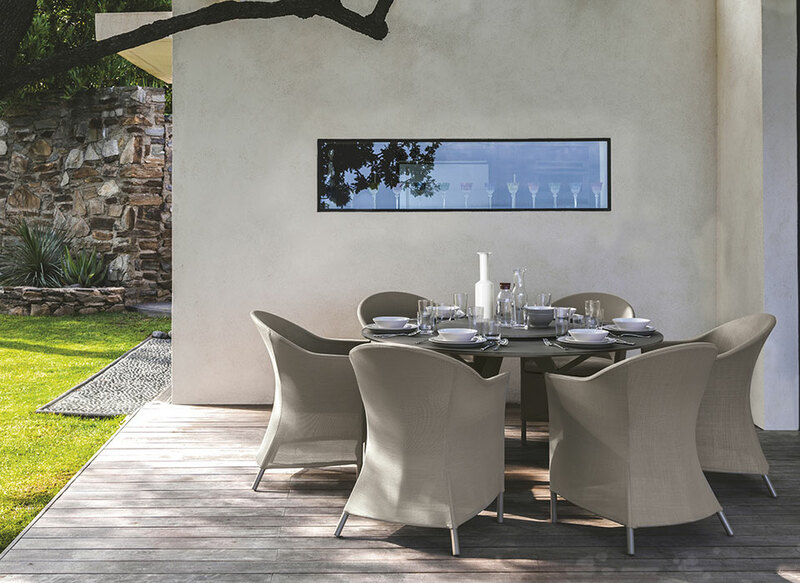 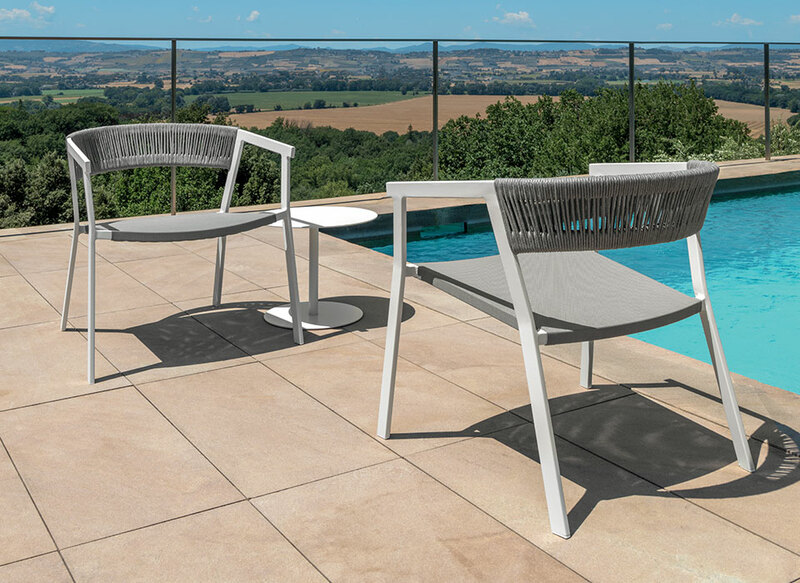 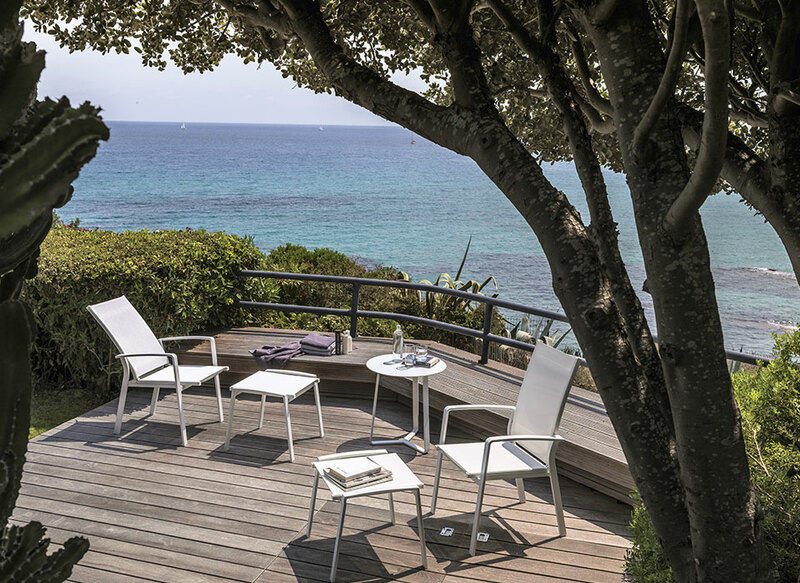 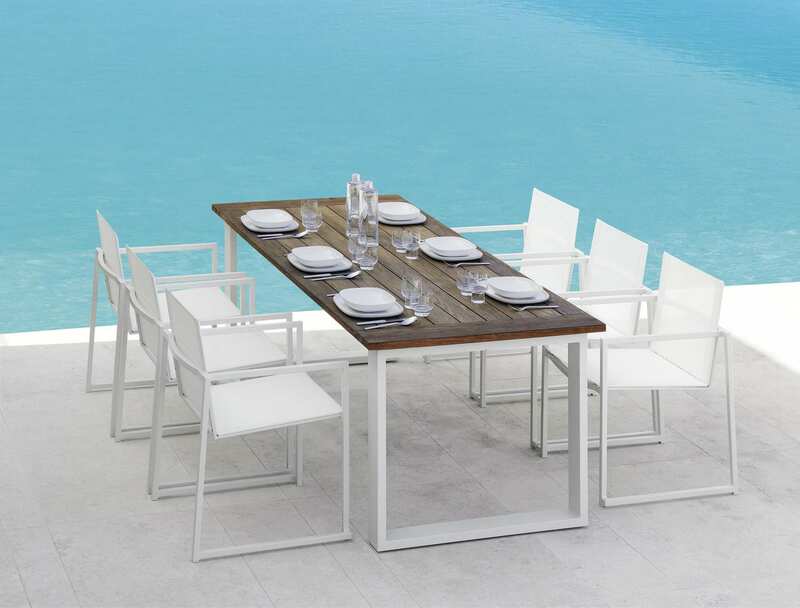 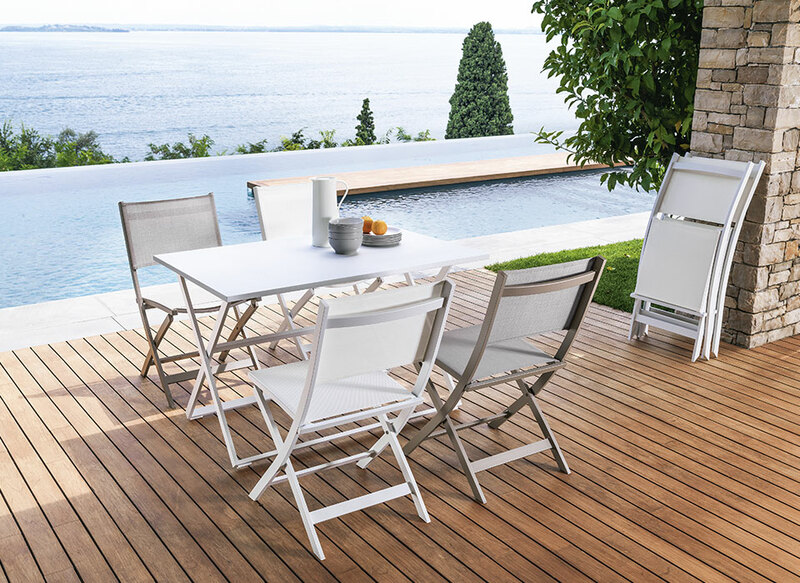 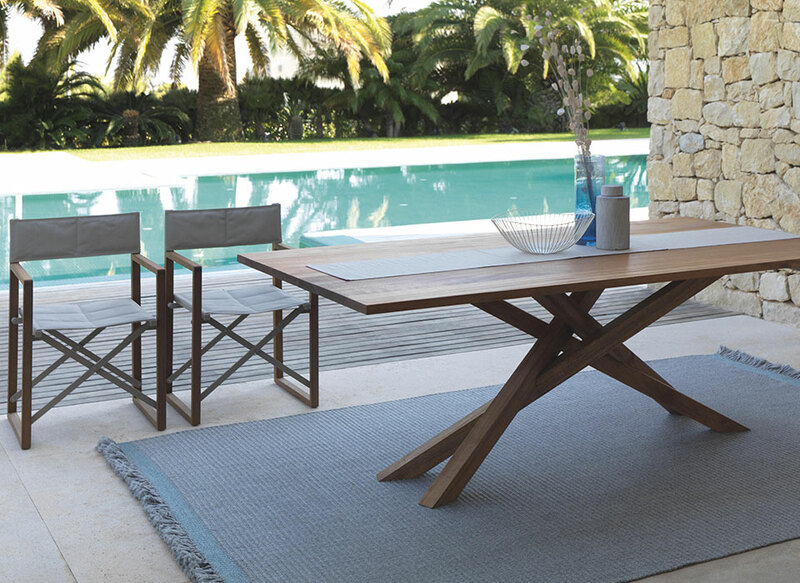 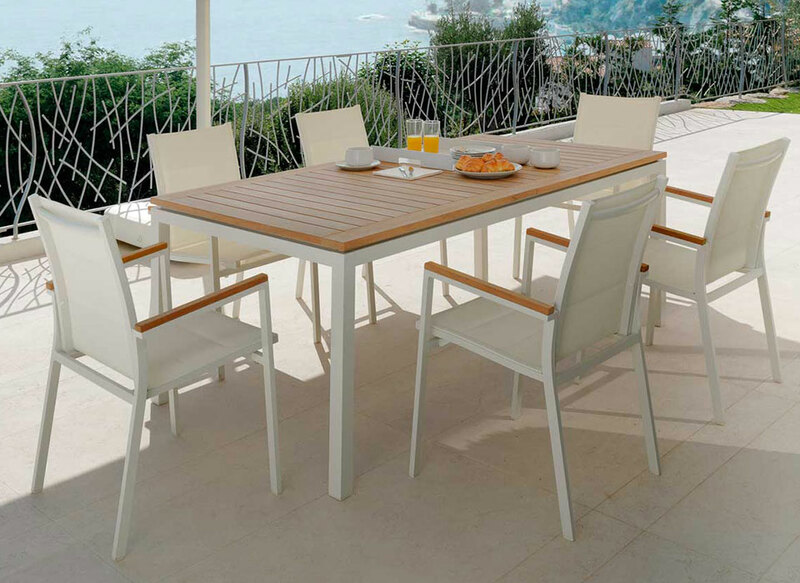 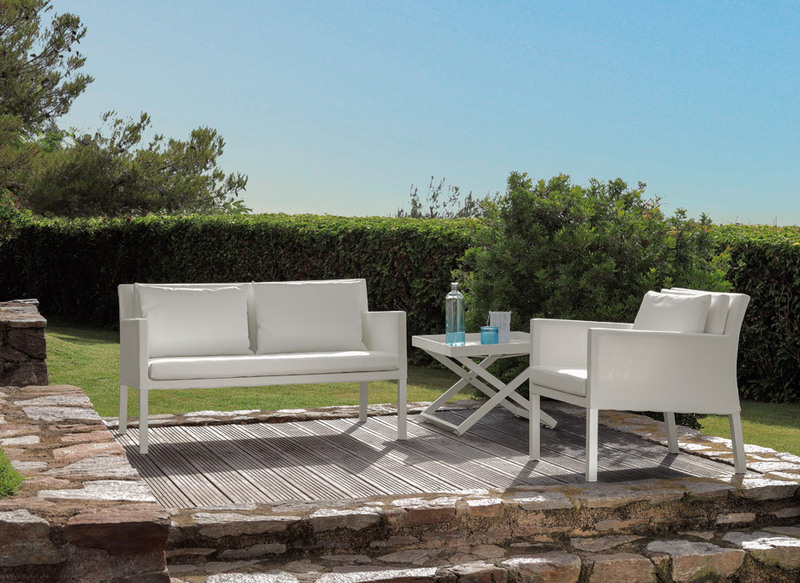 Big and welcoming, it decors the outdoor dining in a sophisticated and refined style. 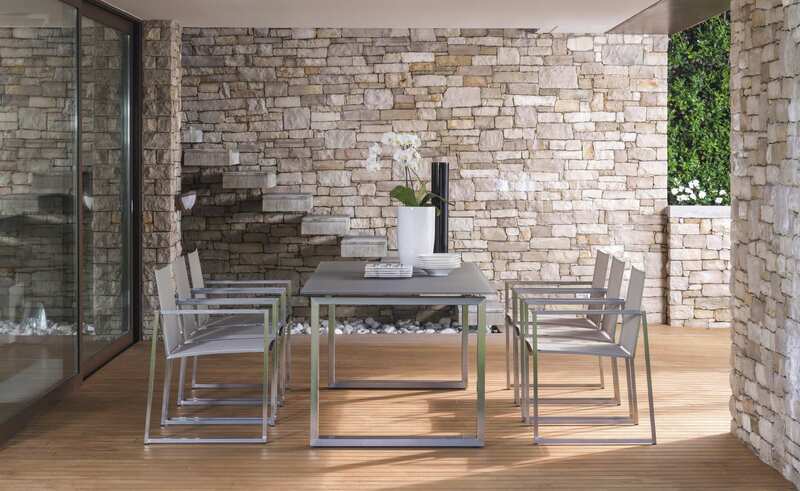 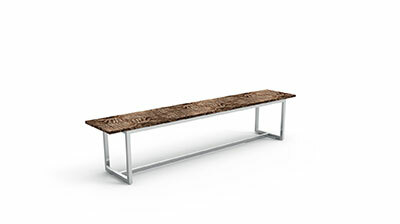 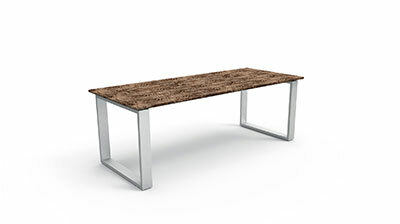 Solid materials with elegant design.